Click on the Image for the Screenshots and the Headline for the Trailer. In Bigger and Boulder, Atlas (no relation), the Greek Titan of holding up really heavy things, needs some help running away from a certain being that created the entire universe. And he definitely needs your help, because rulers throughout history are getting in his way; there's no time to gather moss — start smashing down those gates! 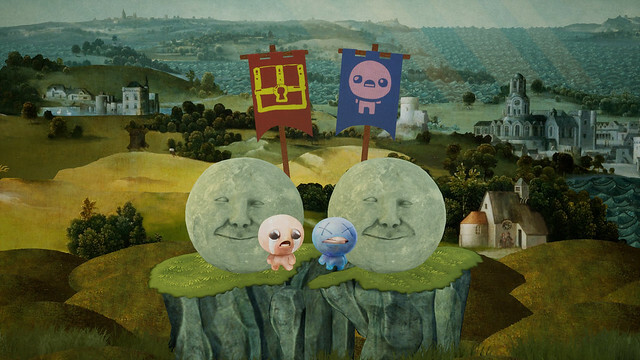 The conquerors in the game are each representative of their different periods of Art History, from Early Renaissance to Surrealism, and are presented in the series' quirky, Python-esque, cut-out animation style.